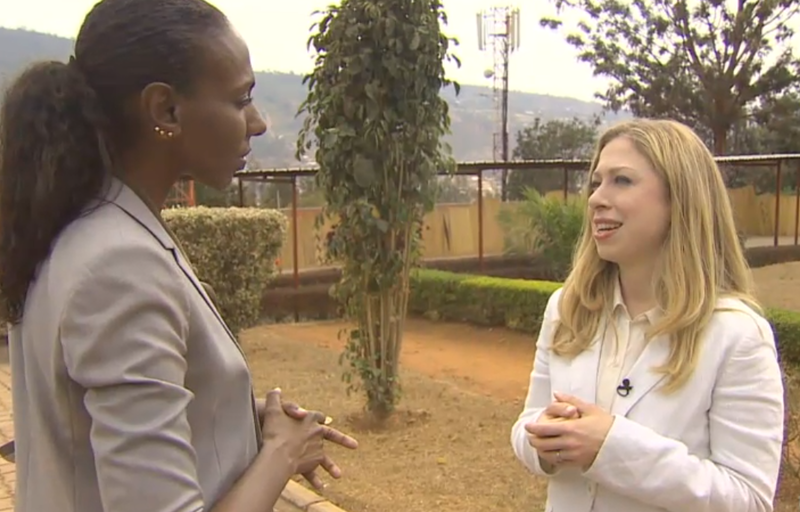 In the video above Chelsea Clinton is interviewed in Kigali, Rwanda. She speaks briefly about her work with the Clinton Global Initiative as well as possible future political aspirations. During the interview Ms. Clinton very evanescently displays an example of the low conventional steeple (bottom photo). Most politicians and public figures who display this particular MAP (Manipulator, Adaptor, Pacifier) end up over-doing it. When over-displayed this (and other) alpha nonverbals have the effect of transmitting arrogance and patronizing feelings. Chelsea however displays this particular gesture sparingly and thus avoids sending such signals. However Chelsea over-uses two similar variations of an elevated fig-leaf. A traditional fig-leaf (see cross-references below) has both hands clasped in front of the groin region. And while there are certainly occasions when such body language should be used (at funerals, meeting with high level religious figures, weddings, religious ceremonies, in situations where you want to show respect and deliberate beta behavior, etc. 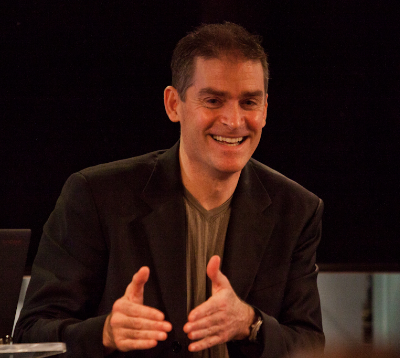 ), in general, the fig-leaf should be avoided for it sends signals of overly beta behavior. 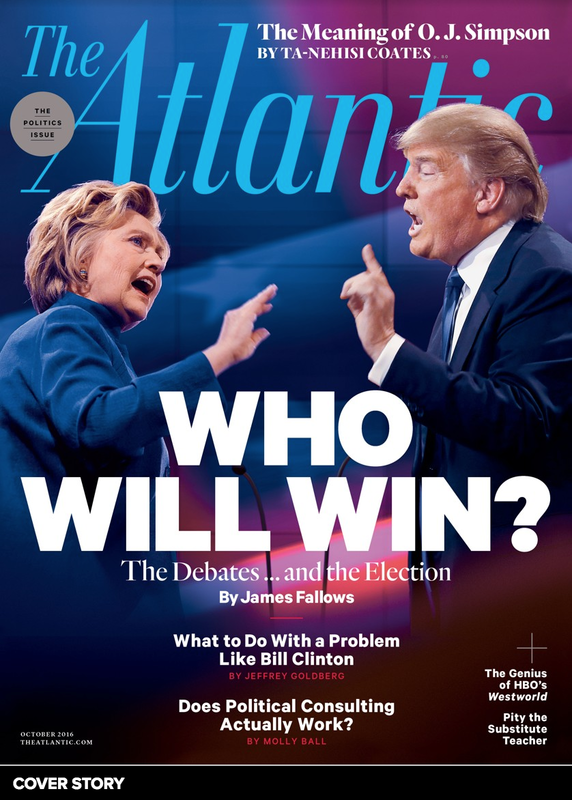 In the first two photos, Ms. Clinton is configured in two variations of an elevated-fig leaf. In the first photo her fingers are intertwined and in the second her left hand is holding her right fist. Both of these are just below chest-level. This appears to be her default hand-arm position (in between the use of hand-arm illustrators) throughout this (edited) video. Such body language should be avoided for the elevated fig-leaf sends signals of lower confidence and lower assertiveness. It effectively says, "I am a Beta". 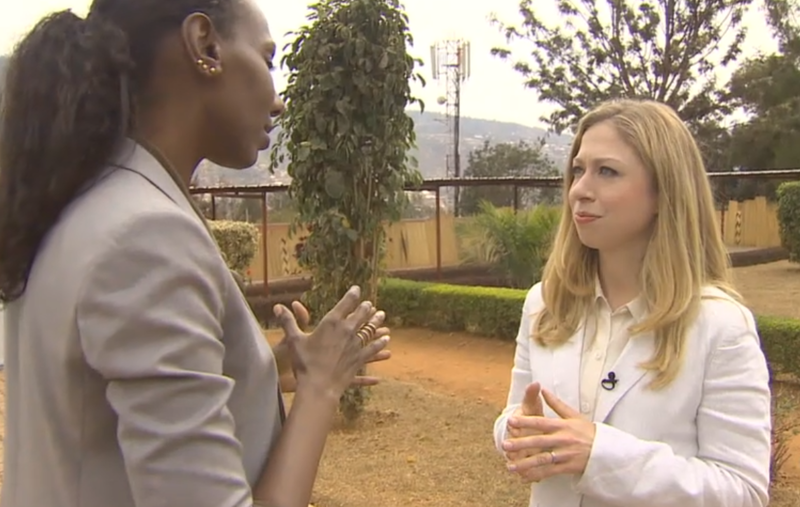 It is possible that Bill and Hillary's daughter is using such hand gestures because she is mirroring the reporter's. Television news personnel are notorious for extremely overusing both the low and mid-steeple as well as the elevated fig-leaf. Many women are accustomed to using the fig-leaf or its elevated versions in an effort to appear more feminine. This is a mistake. There is, of course, a big difference between looking feminine and projecting signals of low confidence. If you want to be perceived as an alpha, use the fig-leaf and its cousins only in carefully selected scenarios. Can you rank all three photos in order from most beta to most alpha? What are some other nonverbals displayed in this interview?